When you have hydraulic equipment as part of your operations, there is not much room for malfunctions. When hydraulics are the driving force of your business, you need a trusted partner to ensure that they continue to operate smoothly day in and day out and complete the tasks they are responsible for. If you need a reliable hydraulic service provider in Anaheim, CA, look no further than Bernell Hydraulics. Every hydraulic system is a bit different and at Bernell Hydraulics we understand that. That is why we carry full lines of hydraulic components. With high quality brands like Parker, you can rest assured that you are getting the best quality for the best price. In addition to our four conveniently located retail stores, we also have an online store where you can order your products. It’s simple, affordable and convenient to work with Bernell Hydraulics. When hydraulic equipment malfunctions it can really throw a wrench in your plans. Thankfully, Bernell Hydraulics offers hydraulic repair services that are quick and affordable. In fact, we have a team of mobile technicians on call around the clock to address any issues that arise, when they arise. That’s right, our experienced repair technicians are available 24/7 for your hydraulic repairs. Day or night, weekend or weekday, Bernell Hydraulics is there for you. 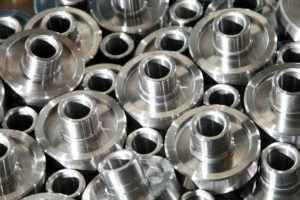 Something else to keep in mind is that Bernell Hydraulics also offers custom hydraulic builds. We know that not every system can meet your exact needs, but finding someone to build equipment to your specs is not always easy. Bernell Hydraulics has 42 years in the business and our expert engineers and technicians have the experience necessary for any job, big or small. If you need a custom hydraulic system built, Bernell Hydraulics can get the job done right. Hydraulic equipment cannot just be left uninspected indefinitely. In fact, they are similar to cars in that they need to have the oil and filters assessed and changed on a regular basis. In addition, they should also be visually inspected for any issues, like a lightly cracked or worn hose. When time gets away from you, bring in the experts at Bernell Hydraulics for your preventative maintenance services. We can put you on a schedule and then you can rest assured that your hydraulic maintenance will never slip through the cracks. Do you need the help of Bernell Hydraulics today? If you need hydraulic services in Anaheim, CA or the surrounding areas, Bernell Hydraulics can deliver. We have been in the business for 42 years and our highly skilled and knowledgeable team can address any of your hydraulic needs. Whether you need to build a custom hydraulic system to meet specific specs or are having trouble finding a certain component for your machine, you can count on Bernell Hydraulics. Our preventative maintenance and repair services are also designed to make your life easier and stress-free in relation to your hydraulic equipment. To request more information, call us today at 800-326-7252!